A new report suggests that the new iPad mini will look a lot like the last iPad mini, but will still sport several upgrades. 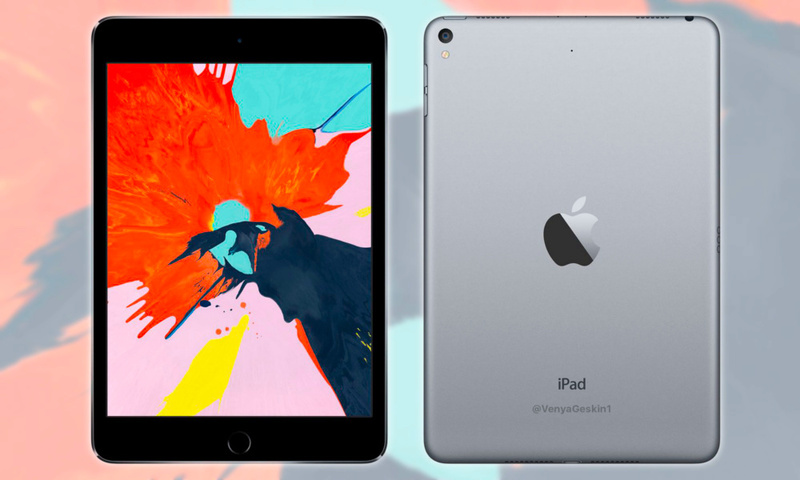 The so-called iPad mini 5 won’t incorporate any significant physical design changes compared to the last generation of the tablet, accessory makers told Macotakara. In other words, the form factor will probably remain largely the same. Macotakara’s sources indicated that the device would retain a Home button and Touch ID, a Lightning connector, and a 3.5mm headphone jack. Those are all components that have been killed off the newest Apple tablets. On the other hand, the fifth-generation iPad mini won’t be exactly the same. Apple is expected to swap the A8 chip of the last model for an A10 Fusion or A10X Fusion. That should afford the tablet a significant performance boost. As far as smaller changes, the microphone is rumored to be shifted to a new position near the “center of the upper back.” That’s a similar location to where the microphone is on the sixth-generation 9.7-inch iPad. It isn’t clear if the iPad mini 5 will support the Apple Pencil or the Smart Keyboard, as past rumors have indicated. But if it does feature Apple Pencil compatibility at all, this week’s report suggests that it’ll only support the first-generation of the stylus. Still, the fact that Apple is considering a refresh of the 7.9-inch tablet at all may come as a surprise to some. The last iPad mini was released in 2015. Since then, the pint-sized tablet was largely expected to be killed off — at least partly due to being sized out of its category by the increasing screen sizes of Plus and Max model iPhones. But back in October 2018, oft-accurate analyst Ming-Chi Kuo predicted that a new generation of iPad mini was on the docket. He also forecasted a processor upgrade, as well as a “lower-cost” display panel. Other reports have echoed that a new iPad mini is coming, but with few or no significant design changes compared to the previous model. The iPad mini 5 is rumored to debut sometime in the first half of this year, likely alongside an updated of Apple’s other lower-cost tablet.